When it comes to Google’s Smart Display initiative, I love the idea; I’ve been using Google Home Hub for a while and it’s been fantastic, it’s minimalist and takes Google Assistant to a whole new level of functionality. What sets Lenovo’s Smart Display apart from the rest is its design. It’s not just another display on your kitchen counter or office table, it’s a piece of art that serves a purpose. 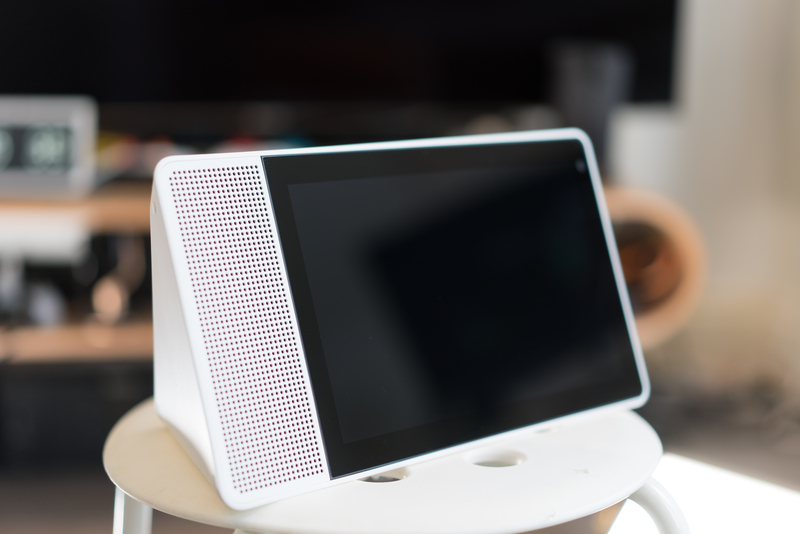 Out of the box, the Lenovo Smart Display has a striking design. On the front, it’s very minimalist, almost like they took a leaf out of Google’s design language book to create something clean; it has a large 1200p display on the 10-inch version – like this review model – and a speaker next to it which is also loud and crisp. The display is very sharp and looks much better than Google Home Hub’s display. 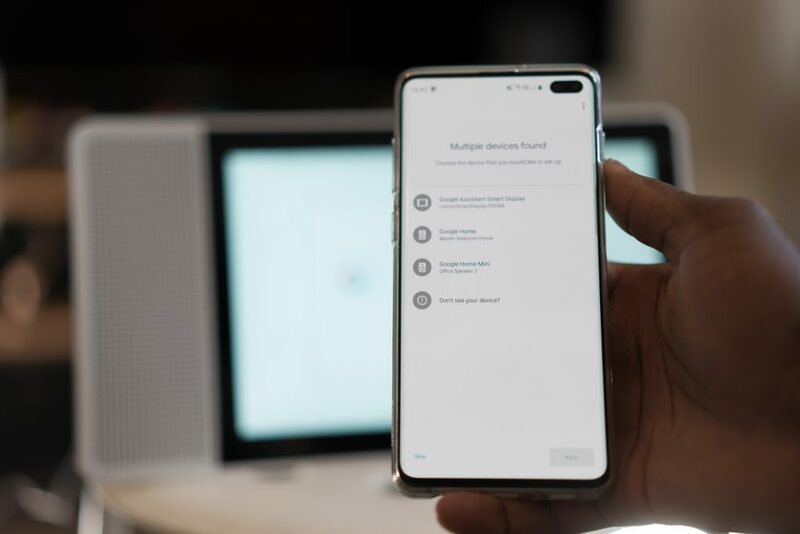 There’s also a 5MP wide-angle camera to the right of the screen which can be used for video calls via Duo, something I’d imagine is very useful for most, but for me, I rarely make video calls at home, just via Whatsapp when I’m out and about. The Lenovo Smart Display is quite hefty at 2.6 pounds (1.2kg), but I like it, it makes it feel solid and won’t be shifting around a) when playing music with heavy bass and b) if I have people around who have clumsy tendencies. 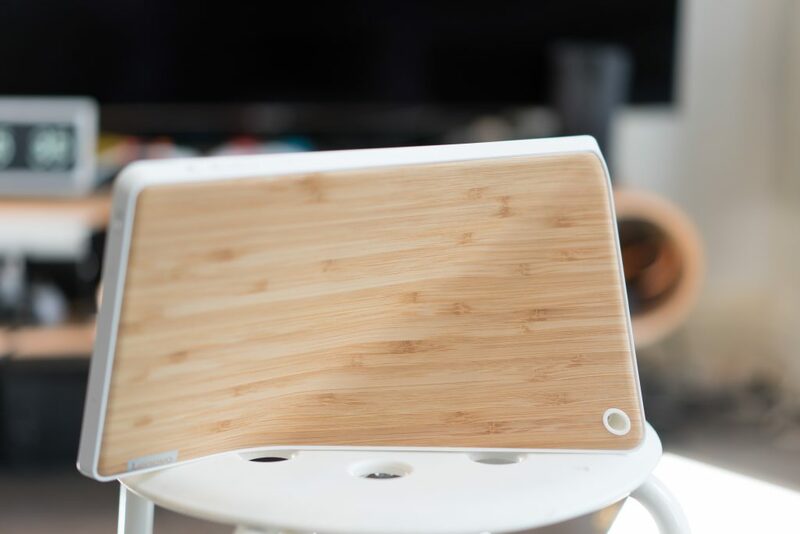 Turn the smart display around, there’s a bamboo finishing on the back which looks premium and fitting for any home design I’d say. If you opt for the smaller 8-inch model, you get a plastic back and a smaller 1,280 x 800 pixels resolution for around £30 less in the UK, so unless your reason is that you don’t have the space for the larger version, I’d stick to the bigger one. The large back is not just for sure though, it’s also there to allow for that large crisp, sharp display and the sound quality that comes with it too. It’s also got rubber feet to keep sturdy and although you can be tempted to stand it up vertically, horizontally is where it works well. When stood up you can use Google Duo only, for now, otherwise, it doesn’t really serve any purpose. Setting up the Lenovo Smart Display is pretty straight forward; just like anything Google, you get all the prompts once you download the Google home app. If you already own Google Home products like me, then it’s even easier, otherwise, you just have more steps to go through that’s all. You also get plenty of voice prompts to make sure you’re on the right track. One thing I love about Google Smart Home products is privacy; there are buttons there to allow you to display the camera and microphone should you want it to not listen to you or if you’re worried about you being watched. Without making this about Google Assistant review, I feel that adding a visual aid to a voice assistant that we’ve come to love is very useful when you just simply don’t want to be using your voice and listening only. You can be in the kitchen and ask for recipes, you can use it to start making video calls via Google Duo, you have different cards for things like what’s on today and when you just want it as a mantle piece, you can have it show you the time or display your gallery. What I’d love is a keyboard on that large display, but then again it would defeat the purpose of having a voice assistant supported by visuals. It doesn’t have far field microphones but in my small space, in my tiny flat, it was more than enough. 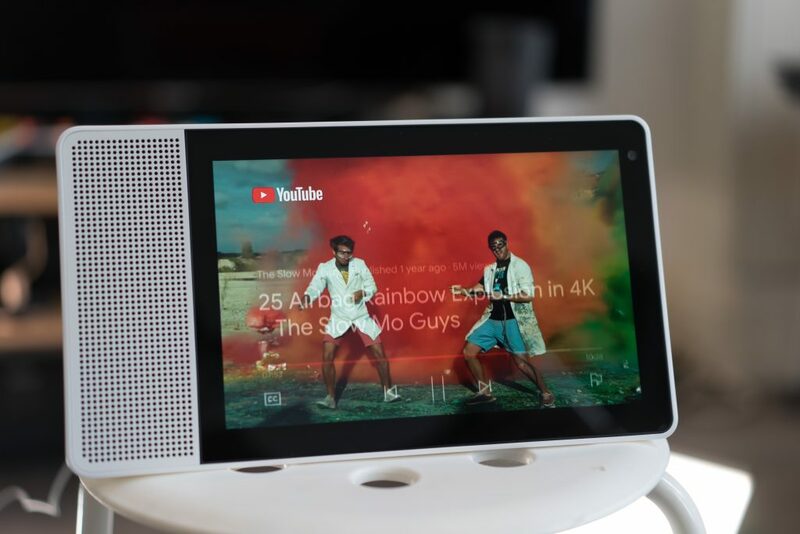 In fact, the Lenovo Smart Display doesn’t do anything different really to say Google Home Hub or any cheaper alternatives out there, however, where it outperforms most is the sound quality and display quality – basically on the hardware level. I’d pick it over the Home Hub just on the design alone. 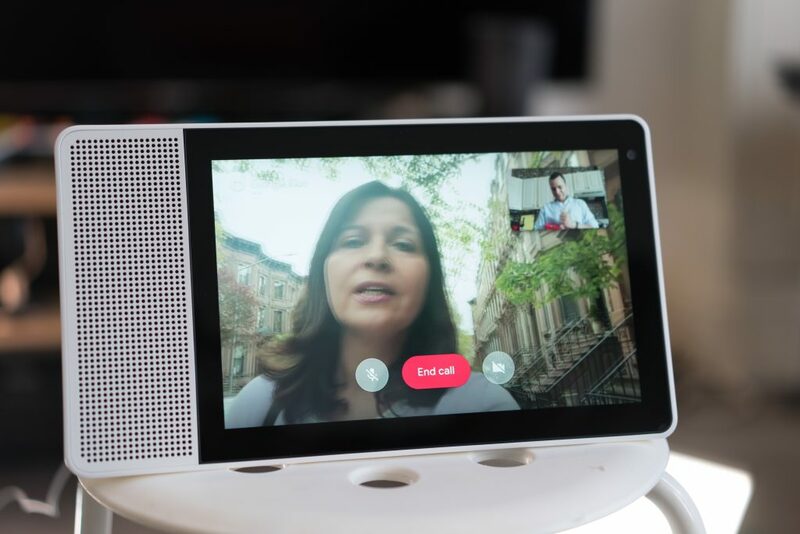 While I really like Google Duo – voice and video quality are great and nicely complimented by Lenovo Smart Display’s sharp quality – the problem is getting your friends and family to use it for video calls. It’s like when Whatsapp first came and all my friends were on BlackBerry Messenger, it took awhile to get everyone on it. I already use Whatsapp video calling function now, so perhaps if Google could open up the ecosystem so that Whatsapp can be integrated tat would be great, otherwise, providing you are connected to your strong WiFi connection at home and the other person has a good 4G signal, you won’t have any issues at all. It’s fantastic for those who call family and friends a lot, perhaps whilst cooking in the kitchen or just at Christmas, connecting with others across the world. With YouTube, Google Music and even Spotify integration with Google Assistant platform, you can easily play music or watch videos when you like. I even figured out recently that I can cast videos from my phone to the display which is not a USP but can be useful when you don’t want to look at a big display which I often find myself doing. I’ve even placed it next to my bed once and played some videos there. 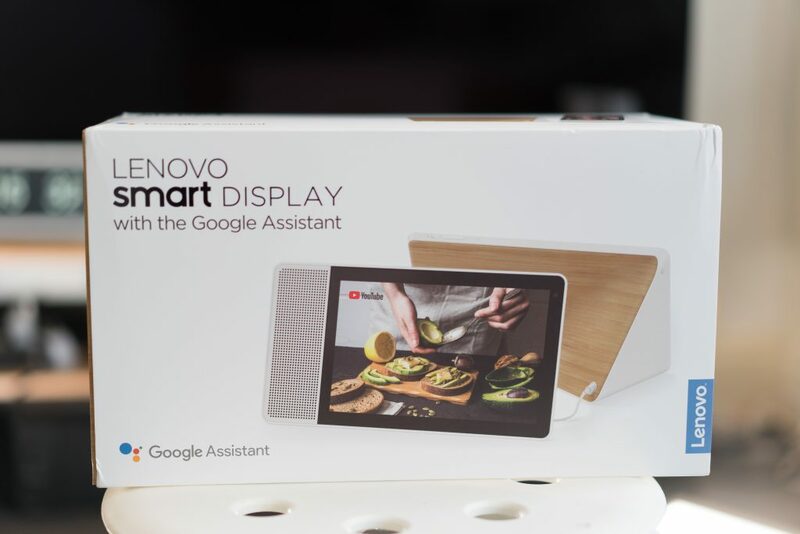 Overall, I really like the Lenovo Smart Display, it sounds amazing, looks very Chic and offers all the possibilities that come with Google Assistant. 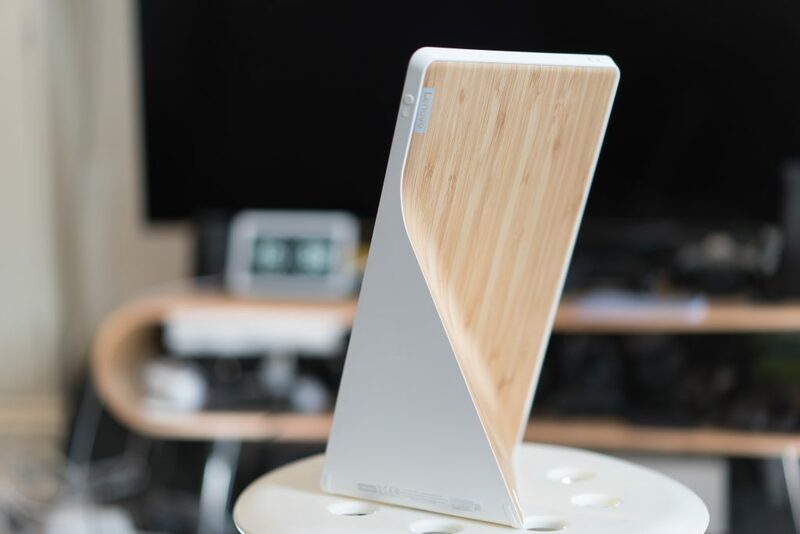 Its design alone is a good reason to opt for Lenovo’s offering over Google’s own and it’s reasonably priced too. With 1.8GHz Qualcomm Snapdragon 624 (quad-core ARM Cortex A53) processor + 2GB of RAM, it’s no slacker with performance and how responsive it is. If I have anything negative to say, it would be that Lenovo should have added an orientation button that allows me to use the whole thing in portrait mode if I feel like doing so and not just for Duo. Elsewhere, any Smart Display built on Google’s Smart Display ecosystem can only be as good as Google make it in terms of software, UI and functionality.